For expert information and advice about buying or selling boats and yachts in Finland contact one of our experienced advisers who will be happy to assist you. 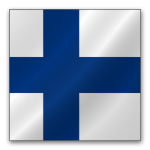 Below is the current list of boats for sale in Finland that are available to our network. Wonderful Princess 64 from the first owner. The yacht was never been in charter. As new Nord Star 49 SCY available for immediate delivery. Delivered in May 2018. One owner, excellent condition. 680 engine hours. Only private using. All winters in warm storage. Engines MAN D-2842LE404, 2 x 1300 hp diesels on shaft - only approx. 750 hours!! Very low engine and generator hours 2002 Elegance 68, found in great condition. Stylish and spacious Fairline Targa 38 with white Sandstone and Scandinavian fresh interior colours.